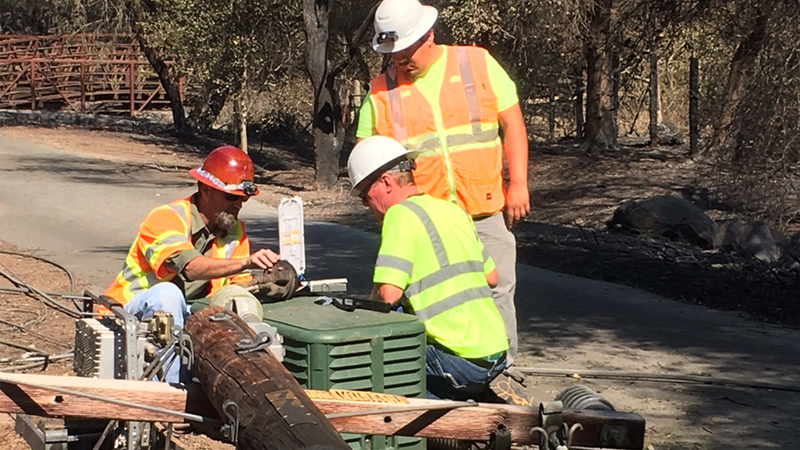 We’ve been restoring service throughout the entire Northern California firestorm crisis, but Comcast is now moving into widespread restoration mode throughout the area. We are working steadily to reestablish our network for our customers. We all have a long road back to business as normal, but we are making progress every day. We prioritize service restoration based on the largest populations. However, if there is an issue with gaining access to that area, we have to focus elsewhere. For example, if there are downed poles, road closures, safety concerns or the authorities have the area cordoned off, we have to deploy our crews where those constraints aren’t a factor. The other consideration is power. So even if there is a larger population we’d like to serve and we can safely access that area, if there is no power in that area, we will not be able to facilitate repairs. Often times, folks expect that when the power is restored their Xfinity services should also be restored. That is not always the case because power lines and Xfinity lines don’t always travel on the same paths. The infographic and video below offer helpful explanations.